Before Marvel's Norse God of Thunder take on the film critics, he has to go through the famous creatures of Hollywood first. 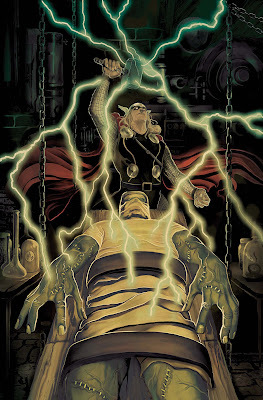 We have seen Marvel cross-promoting for its parent company Disney with Tron: Legacy by publishing variant covers on its titleslast December, so it isn't too much of stretch that Marvel is rolling out a new variant cover campaign for its very own upcoming film, Thor. Pitting the God of Thunder against famous Hollywood creatures, the campaign known as "Thor Goes Hollywood" will be rolling out across April with Heroes for Hire #5 and Uncanny X-Force #7 being the first two titles involved. 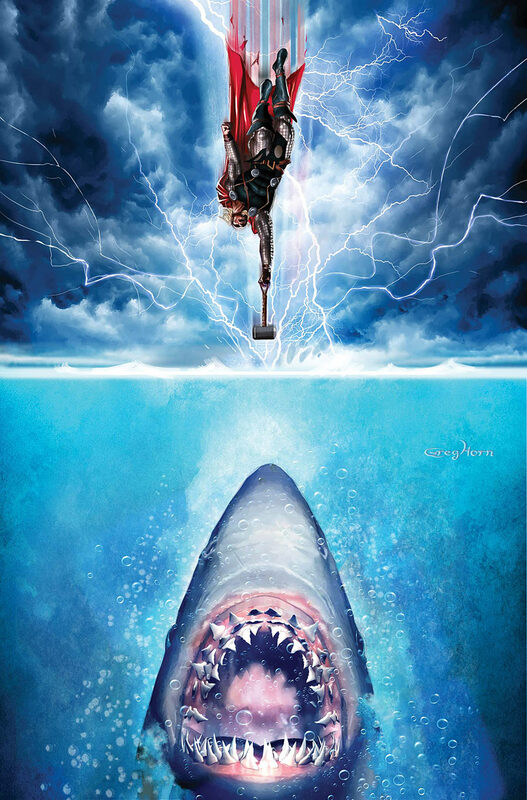 Painter Greg Horn will be working on a Jaws tribute for the variant cover for Heroes for Hire #5 while Mike Del Mundo take on Frankenstein in Uncanny X-Force #7. Expect more to come along. The God of Thunder is headed west! Marvel is proud to announce the Thor Goes Hollywood series of variant covers in honor of the Odinson’s upcoming feature film debut. 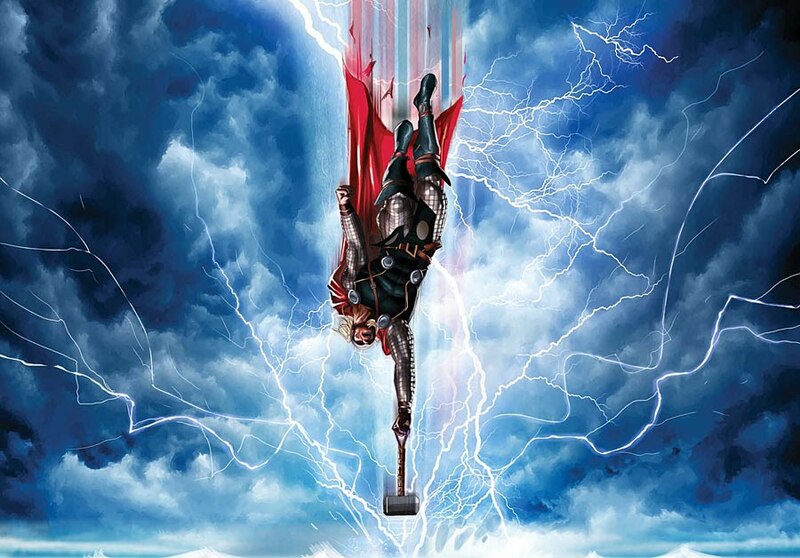 Hitting comics shop just before the release of Marvel Studios’ Thor this May, the covers will see the Mighty Avenger recast in some of cinema’s most iconic roles. Marvel urges retailers to check their orders on these hotly anticipated variant covers as Thor continues to generate major mainstream interest in the months to come. No Marvel fan will want to miss the striking results when Thor Goes Hollywood this May!